Lars Behrenroth was one of the three international headliners at Spring Fiesta 2015 in South Africa (next to Osunlade as well as Rocco) on a line up of over 70 high caliber artists and DJs. You know I love me some Floating Points! This right here is "Nespole", a song taken from the brand new Floating Points album "Elaenia", to be released on November 6th 2015. Beautiful sounds, sans beat, complimented by an amazing contemporary dance choreography. Jazzuelle, originally from Cape Town, South Africa is currently making waves which have reached international shores by way of his recent DJ sets at Sonar and his releases on Atjazz Record Company, Phat Elephant, DeepStitched and just recently Germany's Get Physical record label. Deepavenue, self described as an online documentation of electronic and dance music culture in South Africa, caught up with him to find out about his motivation, background and more. DJ Mag from the UK created a documentary series on game changing tracks in the industry, some of the most played tracks ever, tracks which changed how dance music is today. One of these tunes is indisputable "I'll House You" by the Jungle Brothers, based on the "Can You Party" House Music hit by Royal House aka Todd Terry. Watch this video to learn more about Todd Terry's musical background, his early days of DJing and the creation of one of my favorite House Music Classics. When I first received the promo for this 6 track release by Irish producer The Cyclist, I wasn't sure if the track "Hot House" was meant to sound the way it does. It comes with heavy background noise, a lot of distortion and a 'distant' feel. However, after I kept listening it became clear everything in this production happens on purpose. The 'technique' if you will, transported me into a time of oversaturated tape recordings of unforgettable underground parties and club nights. Plus, I'm a sucker for dubby tunes. MUST LISTEN! The Hot House EP is now available on 12" and digital download on the music/is/for/losers label. 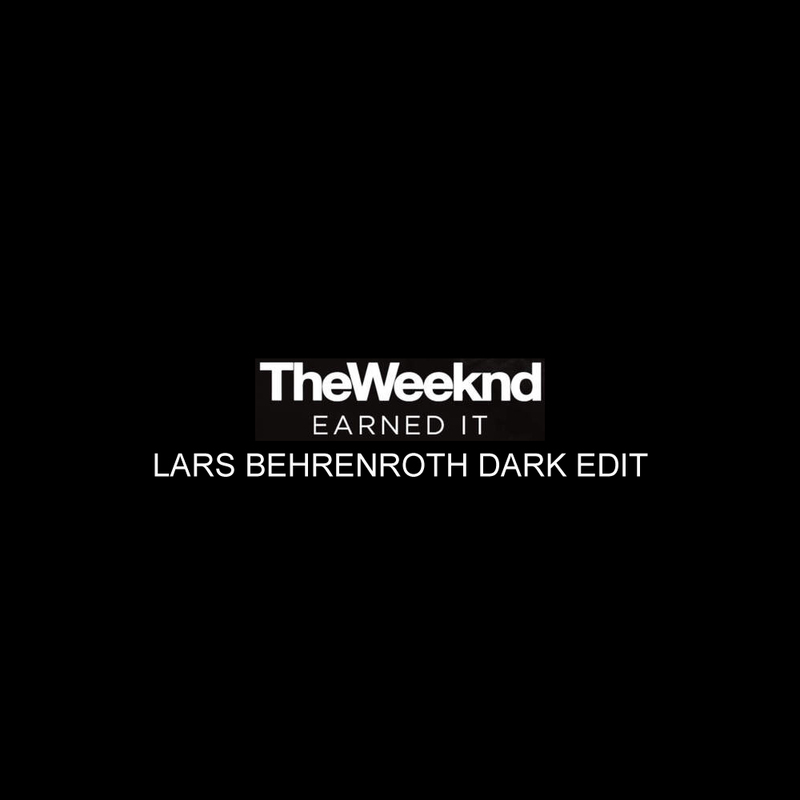 Free Download - The Weeknd "Earned It (Lars Behrenroth Dark Edit)"
Limited Time Only (no longer available)! THIS DOWNLOAD IS NO LONGER AVAILABLE. Please check out #DeeperShadesDownloadTuesdays for more free music. My wife and her friend pointed out the original of this tune to me before it even turned into a hit on the "50 Shades Of Grey" soundtrack and I thought there's potential to make it 'housey' .. I tried a few things and what you can hear, stuck .. The Weeknd "Earned It (Lars Behrenroth Dark Edit)"
Simple, dirty and quick .. Not quite a remix, more an edit w/ an added kick drum and bassline. A few of my DJ friends and myself have been playing it since WMC Miami and now you can, too! I hear it gets some nice reactions all over the world. Beginning Sunday, January 25th you can hear Lars Behrenroth's radio show Deeper Shades Of House every week from 17.00 to 19.00 on CUT FM 105.8 in Bloemfontein, capital city of the Free State Province of South Africa. The Central University of Technology`s radio station just began broadcasting on January 19th and decided to carry Deeper Shades Of House from their very beginnings. CUT FM is licensed to broadcast up to 150 km around Bloemfontein. See the map below to find out if you could potentially receive the FM signal, and please let me know in the comments if you are able to listen to the station. I hope you are celebrating and ringing in the new year amongst friends and family. We are and you can be part of it! Once we get our house party going (sometime after 8pm here in California), you can join us via live stream. Some of you might already have received my Holiday newsletter with direct links to four free downloads. The reception was so overwhelming that the host disabled my public links due to too much traffic :) Soooo, I can't stand for that and uploaded the same tunes to some other places for you to download .. Enjoy and don't forget, be safe, don't drink and drive, keep it deep and whatever you do, DON'T LET YOUR FRIENDS LISTEN TO BAD MUSIC.